My grandmother liked her exercise. She still does but she can’t quite twist those hips like she once could. She had all sorts of exercising gadgets back in the day. 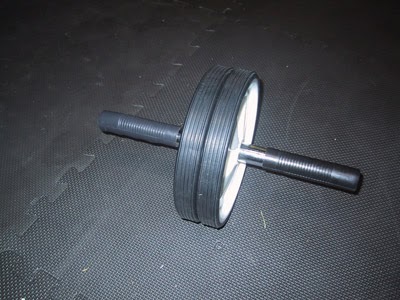 She had a little black wheel with two handles on it that she’d scoot all over the floor, like this one below. She also had a rump shaker. I was all crushed when my parents told me they recently sold or got rid of her little rump shaker she had in her garage for the longest time. I wanted the rump shaker!! You would just put the belt around your back, turn it on and let it shake the fire out of you. The calories would fly right the flip off! I was all excited when I saw it in Olivia Fig Newton John’s video. Exercise can be a real pain the bahonkus. If you aren’t a gymaholic, exercise can really be annoying. The process of getting yourself to exercise can be annoying, but, unless someone hit you in the head with a flying dumbbell while you are finally at the gym, no one is ever annoyed after the exercise is over. I am grateful every day that Sean Millhouse of Fitness 101 took me as a project about 2 months ago. We basically I have a partnership- he trains and I blog. I know accountability is a huge part of how I have been able to keep this up. That and the fact that he is taking an “after” picture in about 6-8 weeks from now. So far, I have lost 10 pounds, which is crazy to me. I have wanted to lose 10 pounds for the longest, longest time. I would like to lose 3-5 more and would like to become more toned. This post isn’t about having the perfect body or fat shaming or not embracing curves and all of that business we read about everywhere. It’s just to remind us all, especially me, why exercise is, like, a super great idea. The book Sean co-authored called. “The Fad Free Fitness Formula”, which you can purchase here, and WebMD helped me come up with some reasons that exercise is a great idea beyond just fitting in the pants you have wanted to fit into for a while. #1 ENERGY INCREASER: Exercising increases endorphins into your bloodstream which give you more energy to do lots of stuff, such as play ping pong longer. #2 STRESS REDUCER: It helps melt it away. Exercising produces a relaxation response. Less stressed means less irritable means less yelling about the old toothpaste in the sink means thankful friends and family. #3 BRAINPOWER BOOSTER: More energy means more serotonin flowing means a better operating brain means you will win more Scrabble games. #4 FAMILY TIME GIVER: You can get some great quality friend and family time by exercising. You don’t have to go to the gym. You can walk together, ride bikes together, run with the dog together, hopscotch together or hang glide together. All creates togetherness, which is great for friend and family and pet time, unless you let go of the hang glider. #5 DISEASE WARDER OFFER: It will help slow or prevent heart disease, stroke, high blood pressure, high cholesterol, diabetes, arthritis and osteoporisis. I work at a hospital part-time. You want to prevent yourself from getting there as much as possible. Hospitals and bad health and the effects of all of those things on your family down the line are no fun at all. We all know this, of course. 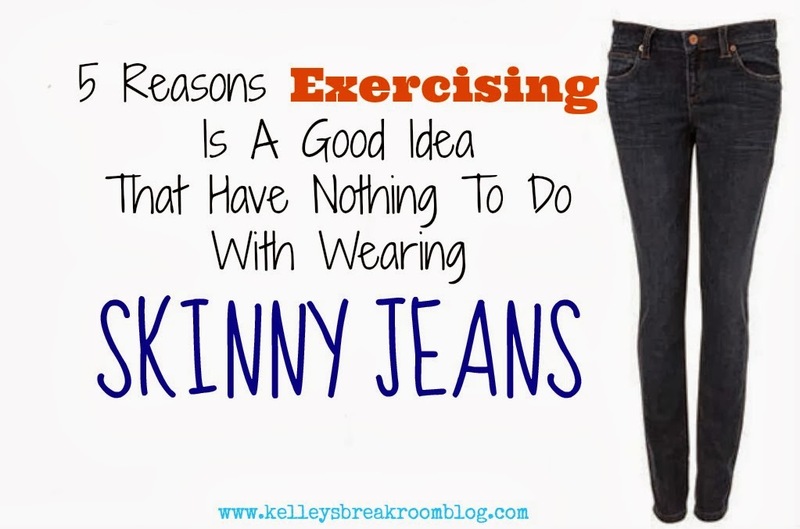 After reading that list, why wouldn’t we exercise, you know? If you are not an exerciser, I know what you might say because it’s exactly what I said- “I don’t have time”. If you can find the time at least 2-3 times a week, you will be grateful you did and so will the people in your life. And the pets, too. You can follow Kelley’s Break Room on Facebook HERE and Sean over at Fitness 101 on Facebook HERE. If you are interested in getting a free e-book about how to manhandle your muffin top, you can sign up with your e-mail address on the right sidebar of this blog. Sean Millhouse is the program director and owner of Fitness 101. He is also a partner in Northwest Personal Training Center (Northwest Houston’s largest Personal Training Facility). Sean and his businesses have helped more than 3500 clients meet their goals through the development of healthy fitness and eating habits. Sean has been an ACE certified Personal Trainer for 14 years and holds a Bachelor of Business Administration from the University of Houston- Downtown. Through ACE, he is also an Advanced Health and Fitness Specialist. 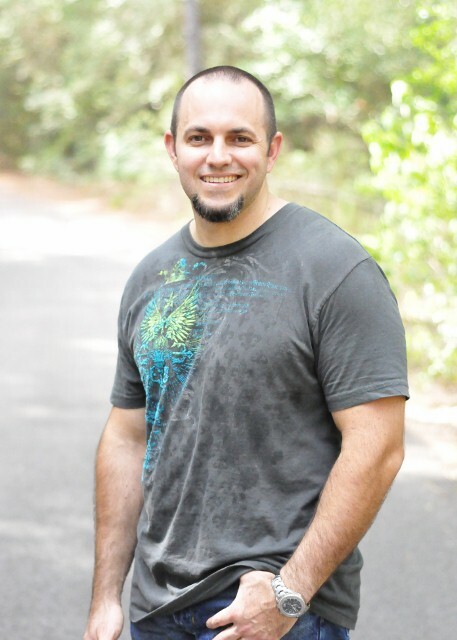 Through his multiple Personal Fitness Programs…Sean has worked with several local celebrities and successful business owners in the Northwest Houston area. His focus is on helping people who have lost control of their lives. Sean teaches that if we start practicing moderation, we can achieve balance and live a healthy lifestyle. To help change lives through fitness…Sean offers his knowledge for lunch and learn opportunities, health and fitness seminars, and various charity functions. Sean also publishes a Blog at www.fitness-101.com and weekly e-newsletter “Fit For Life” that help readers stay current with health and fitness topics. Archived articles are available on the blog.